Mobile Armored Strike Kommand: Spiderman Copies M.A.S.K. A Racing-style car that splits into four component parts - A Battle Pod, Attack Jet, Jet Pack and a Submarine. 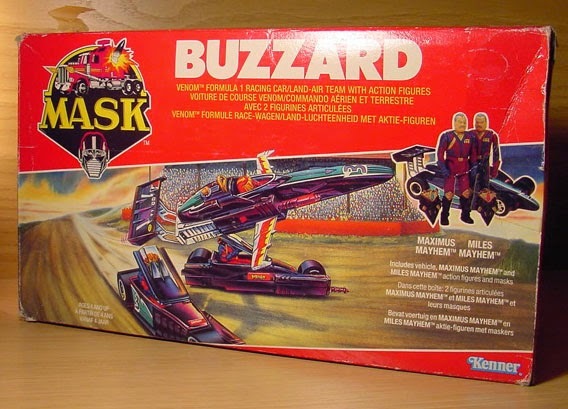 Keen-eyed M.A.S.K. (or V.E.N.O.M.) fans will notice the similarities to this and the Mayhem Brother's Buzzard Vehicle. 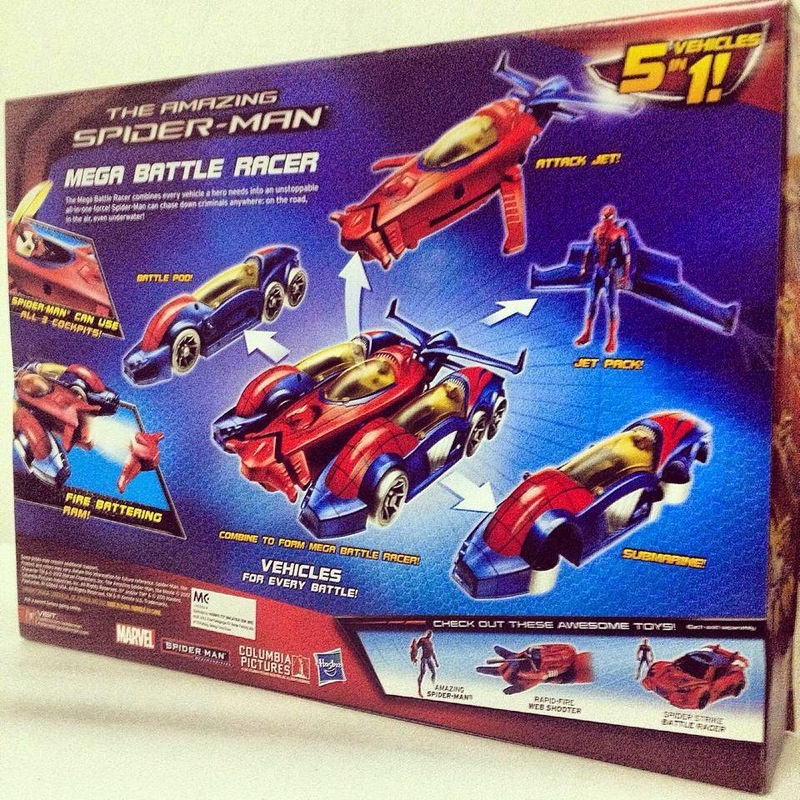 Where Spiderman has his Attack jet, V.E.N.O.M. have their drone. The Mayhem Brothers each have their own pod vehicle either side of the jet. Yes, one of Spiderman's is a Submarine, so maybe that wins one point. Lastly, if it all goes wrong, the rear tale of the drone jet can become a glider for one of the Mayhem Brothers (normally Miles) to make good his escape. Maybe I'm biased, but I prefer the original and best, so, therefore Buzzard wins it for me! Clearly, Hasbro have some of the rights left over from the Kenner legacy - but what we really want to see is M.A.S.K., so help us Bring Back M.A.S.K. and sign the petition.